The Isle of Wight was incorporated in 1771 under a local Act of Parliament (11 Geo. 3. c.43. For establishing a House or House of Industry in the Isle of Wight, for the Reception, Maintenance, and Employment of the Poor belonging to the several Parishes and Places within the said Island ). The Act empowered the Incorporation "to manage the poor persons incapable of providing for themselves in the parishes of the island; to let out poor to harvest work" and "to apprehend idle persons not maintaining their families in the island". The House of Industry's 1792 rule book gives a flavour of life for inmates. Breakfast was at 8am, and dinner at noon, with supper eaten after the end of the day's work. Bedtime was at 8pm in winter and 9pm in summer, with no candles allowed to be lit in the evening between May and August. Clean "linen" (i.e. shirts, underwear etc.) was issued each Saturday evening. The use of tobacco, distilled liquors and tea were prohibited except by direction of the medical officer. The matron instructed the older girls in cookery, housewifery, washing, and scouring, in order to qualify them for domestic service. Unmarried mothers were housed apart from other inmates and had their names entered in a "black book" — they were allowed no solid meat on meat days, and had to wear coarse yellow coats or gowns "or other disgraceful distinctions. On the other hand, those paupers who were judged to have worked "with care and diligence" could receive occasional rewards. The inmates' weekly "bill of fare" is shown in the table below. 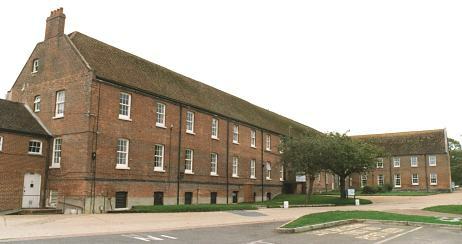 Isle of Wight main building from the south-west, 2001. 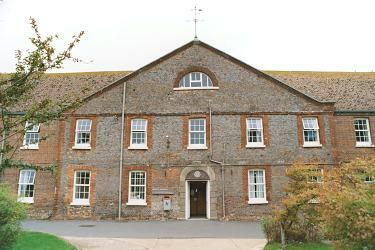 Isle of Wight main building entrance from the south, 2001. Isle of Wight main building from the south-east, 2001. 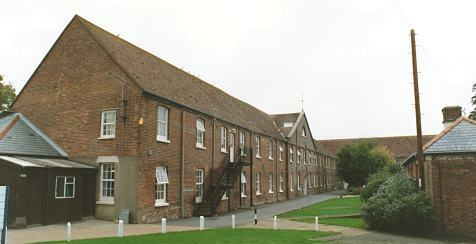 A chapel was attached at the north of the main workhouse building. Isle of Wight rear of main building and chapel from the north-east, 2001. Isle of Wight infirmary from the north-west, 2001. By the 1920s, the Isle of Wight Union was operating a number of scattered homes. In 1924, there was a boys' home and a girls' home at Arreton, and a home for infants at Wooton Bridge, each of which held 12 children. By 1929, the boys' home had moved to East Cowes.